We have the courage and experience to take on the biggest cases and get the very best results for shareholders. 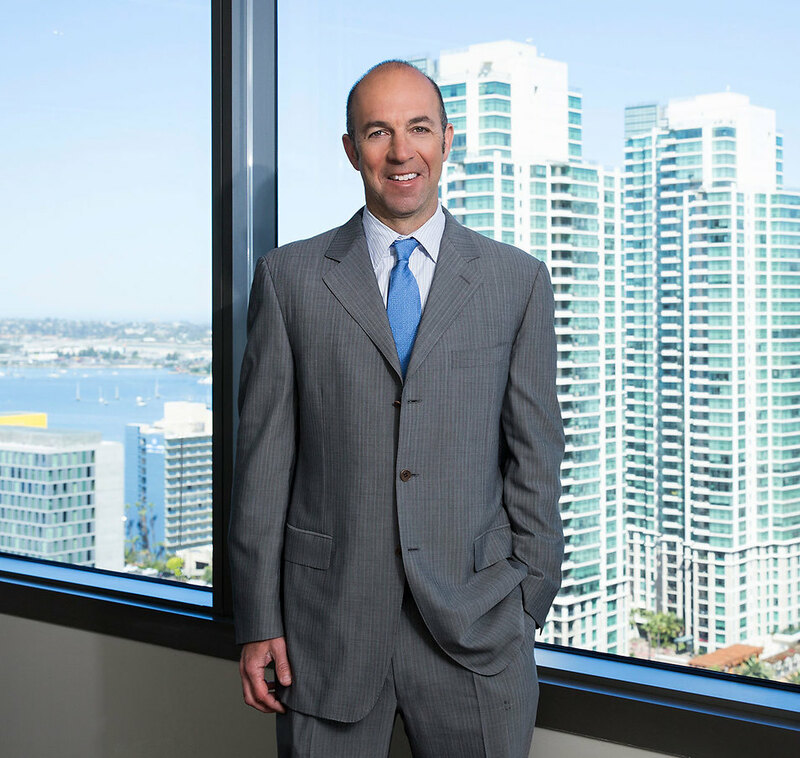 Jonah Goldstein is a partner in Robbins Geller Rudman & Dowd LLP’s San Diego office and is responsible for prosecuting complex securities cases and obtaining recoveries for investors. Jonah also represents corporate whistleblowers who report violations of the securities laws. Jonah has achieved significant settlements on behalf of investors including in In re HealthSouth Sec. Litig. (over $670 million recovered against HealthSouth, UBS and Ernst & Young), In re Cisco Sec. Litig. (approximately $100 million), and Marcus v. J.C. Penney Company, Inc. ($97.5 million recovery). Jonah also served on the Firm’s trial team in In re AT&T Corp. Sec. Litig., MDL No. 1399 (D.N.J. ), which settled after two weeks of trial for $100 million, and aided in the $65 million recovery in Garden City Emps.’ Ret. Sys. v. Psychiatric Solutions, Inc., the third largest securities recovery ever in the Middle District of Tennessee and the largest in more than a decade. Most recently, he was part of the litigation team in Luna v. Marvell Tech. Grp., Ltd., resulting in a $72.5 million settlement that represents approximately 24% to 50% of the best estimate of classwide damages suffered by investors. Prior to joining the Firm, Jonah served as a law clerk for the Honorable William H. Erickson on the Colorado Supreme Court and as an Assistant United States Attorney for the Southern District of California, where he tried numerous cases and briefed and argued appeals before the Ninth Circuit Court of Appeals. Jonah has been named a Recommended Lawyer by The Legal 500. He earned his Bachelor of Arts degree from Duke University and obtained his Juris Doctor degree from University of Denver College of Law, where he was the Notes & Comments Editor at the University of Denver Law Review. Luna v. Marvell Technology Group, Ltd.